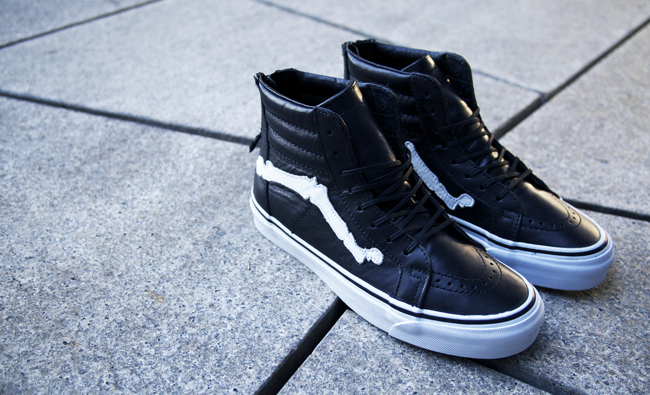 Southern California retailer BLENDS revealed its new collaboration with Vans Vault today, a special Sk8-Hi Zip LX celebrating the shop's 10-year anniversary. Southern California retailer BLENDS revealed its new collaboration with Vans Vault today, a special Sk8-Hi Zip LX celebrating the shop's 10-year anniversary. 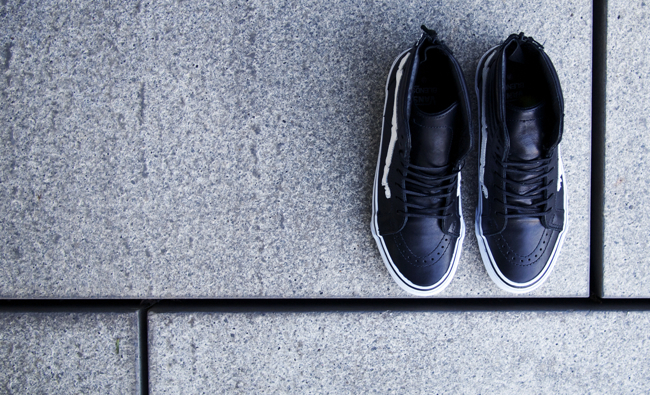 Inspired by vintage motorcycle gloves, the BLENDS x Vans Vault Sk8-Hi Zip LX features a rich black leather upper with "bones" replacing the usual jazz stripes. Limited to 100 pairs, the BLENDS x Vans Vault Sk8-Hi Zip LX drops on Friday, March 8 at BLENDS locations in Costa Mesa, Los Angeles, San Diego, Santa Ana and online at blendsus.com.